A career with animals was always in Sandy Braunwarth’s future. She initially wanted to be a wildlife vet, having spent countless hours helping her uncle at his reserve, the Braunwarth Zoo, which was a sanctuary for injured and/or orphaned wildlife, However, Sandy also wanted to train dogs. She started volunteering at the local humane society when she was 8 and apprenticed with a trainer when she was about 15. Sandy also worked for several years as an adoptions counselor. By this time, she knew she’d found her passion. Sandy has now been training for 15 years and doesn’t plan on stopping. She knew she would be a successful dog trainer when she was helping unwanted dogs, cats, and other critters overcome fear and other behavior problems Sandy has fostered more than 500 animals and has loved teaching them everything she could. 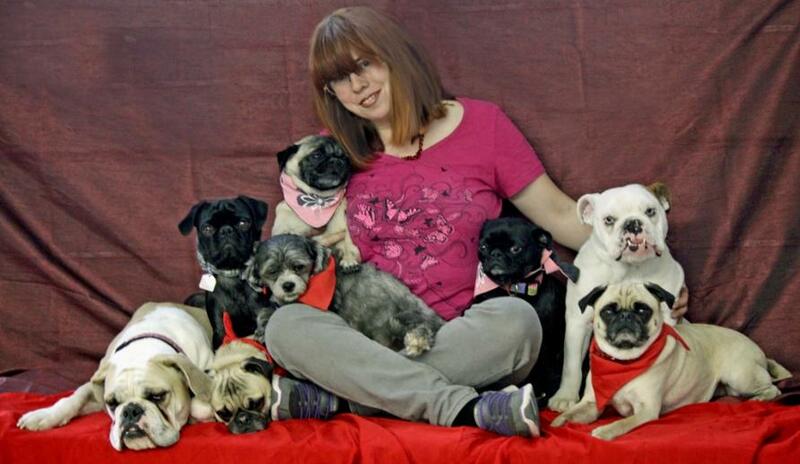 In 2011, Sandy opened Wildsands Petcare in Calgary, Alberta, Canada, which offers daycare, cat and dog boarding, grooming and, of course, training. She also offers private training sessions three times a week. Contacted in 2003 by ABTA Sandy accepted a position as a group class instructor. A few years later she was asked to be a mentor trainer for ABC and gladly said yes. Sandy said her experience as an ABC mentor trainer has been tremendous, having met so many wonderful people—most of whom she keeps in touch with. “It is the best feeling to watch students do well and fill their lives with the same happiness I experience every day,” she said. Sandy gives her students as much experience and knowledge as possible by allowing them to see her at the facility any time they like. Some students stay with her to learn more. Sandy also makes herself available by phone, email or text. She tries to provide a variety of scenarios to help her students think outside the box. Sharing knowledge and experience goes both ways, Sandy noted, adding that she has learned to listen, to never exclude anyone and to always make positive changes in her life and for others. “You never stop learning and everyone has something to give as knowledge is passed on,” she said. Sandy would recommend the ABC Dog Obedience program to anyone looking to pursue a career in dog training. To date, Sandy has mentored about 31 students and looks forward to meeting many more.